FOX is going to Hell … again. Today, the network announced they’ve renewed Lucifer for a second season, Variety reports. 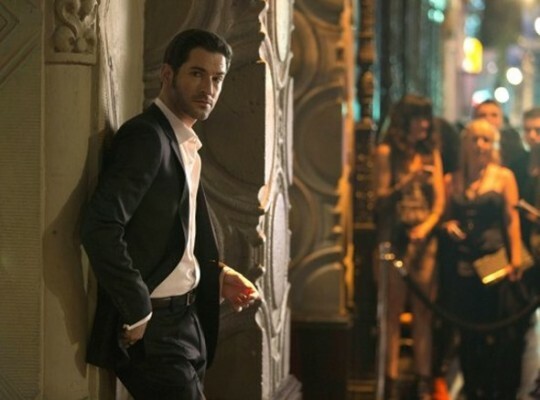 The drama stars Tom Ellis as Lucifer Morningstar, the fallen angel who has left his post in Hell to run a Los Angeles nightclub. Lauren German, Lesley-Ann Brandt, Kevin Alejandro, Rachael Harris, D. B. Woodside, and Scarlett Estevez also star. Lucifer premiered to favorable ratings, earning a 2.43 in the 18-49 demo and 7.156 million viewers with its January debut. And while ratings have dropped off significantly since then, with an average of 1.55 in the 18-49 demo and around 4.820 million viewers, the series is still one of FOX’s stronger performers. Today, FOX also renewed Rosewood for a second season. What do you think? Have you been watching Lucifer? Are you glad it’s been renewed? More about: FOX TV shows: canceled or renewed?, Lucifer, Lucifer: canceled or renewed? Lucifer: Cancel or Keep the FOX TV Series? Great show, so glad it will be back! Love this show! So glad to hear it’s getting a second season. Awesome, glad Fox renewed my favorite show! Fantastic news! I love this show and the chemistry between Chole and Lucifer. She continues to draw out the best in him. Wishing both a happy ever after! Lucifer is fun! I’m excited to have it renewed an look forward to every episode! (If only all the evil in the world would turn good.) Everyone needs to remember this is just fiction. Reality shows are much scarier – they show people in their true form! Super happy that the show is well on its way to the second season. Absolutely Love the damn Devil and the entire cast. However, a humble request, FOX if you’re reading this, please ask the writers to add the supernatural element in the next season, the way they scripted the Pilot Ep. That gave us some excitement. Otherwise, Its just another Crime and Investigation Drama. To Sunny: I agree with you. I love the show but I’m afraid it’s drifting into another crime drama. I don’t want to see Lucifer become human. Where’s the fun in that? Let’s see some of Lucifer’s powers — for better or worse! My favorite new show of the season! 1 of my Favorite Shows, I would love it if they Showed him ruling hell in 1 of the Episodes. The show is very creative, and have some truly funny moments, as well as some truly thoughtful ones. I am thrilled that the “Million Moms” protests have been for naught, as this show is entertaining, and does not promote all the evil “Satan worship,” that we were warned about. Thank you FOX for renewing it! I am so excited that Lucifer has been renewed! It’s my favorite new show! How can anyone resist the charms of Tom Ellis? Hope the show has a good, long run! I cannot believe how much fun this show is, especially how I reacted to the initial concept. It s clever and enjoyable. Absolutely love the show!! The chemistry between Lucifer and the detective sizzles. A funny and intense drama. Look forward to Monday nights! We are thrilled that the series will continue. Thank you very much!! !